Saturday February 28th. The Salt Flats hike is one of the more unique hikes in our area. The hike is approximately 4 miles total. It follows a creek that is full of fossils. This trail leads us to a salt water water fall, the only one of its kind in our United States. 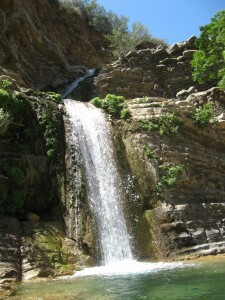 Once here we then climb up and over the water fall and go straight to the salt flats. This area was originally part of the ocean and what we are left with now is a very large dry salt lake bed. Depending on the amount of rain, the salt is carried up to the surface into several small pools. This water then flows down from the pools and creates the water fall. We will explore the dry lake bed and hunt for fossils and then have lunch at a Chumash camp site before returning. This hike is not a very strenuous hike, definitely one the whole family can enjoy includingdogs. We will meet at Nordhoff High School at 9am. Car pool time from here to the trail head is about 30 minutes. Dress in layers and comfortable hiking shoes. Bring water and a lunch. The cost is $20 for a single and $30 for a couple. So bring a friend. We should be back to Nordhoff School by 2pm. Meet @ Nordhoff High School @ 9am. We Will car pool to Pine Mountain Road. This road is unmaintained and rough. Once we get to the top we will be at 7000 feet. The first trail we will be hiking on is 1 mile down with beautiful and Breath taking views that will take us to Raspberry Springs. Once we are here you will be able to revel in the beauty of the surroundings. After an inspiring visit here we will head back up the trail and over to our next adventure. 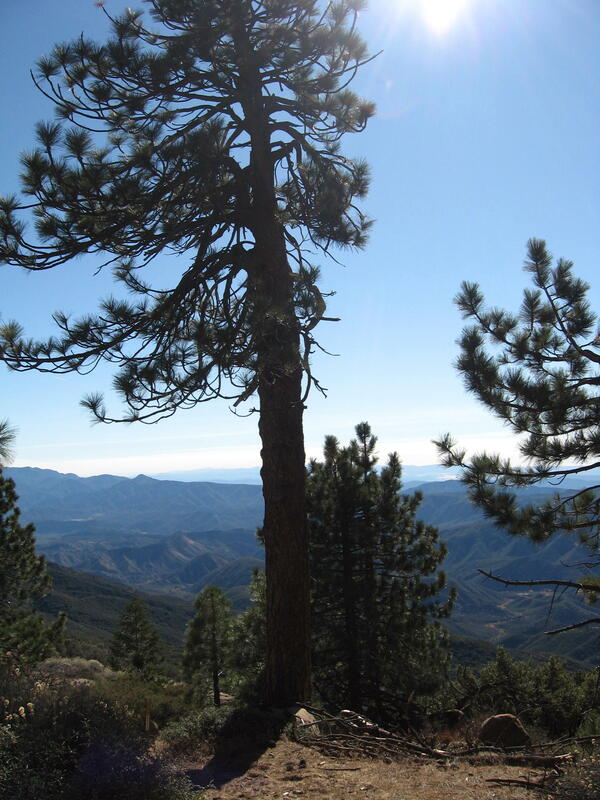 Next we will head down the south side of Pine mountain to the Chorro Grande Springs. This trail has awesome views of the Channel Islands. This is where we will have lunch. Both hikes combined are a total of approximately 4 miles. Not a great distance but filled with extreme beauty. The weather up on the mountain is unpredictible. Please dress in layers. A warm jacket is strongly advised. Bring a lunch, water, and please wear comfortable hiking shoes. This is not an endurance hike so all family members are welcome. 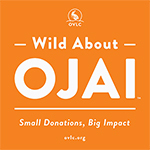 GoOjai.com is a proud partner in the Wild About Ojai program - protecting Ojai's views, trails, water, and wildlife.